Over the last couple of days I have been reading loads about the Cut For Evans collection and decided to check it out this morning... WOW! What a massive difference for Evans, I am really impressed. I have shopped in Evans for years and I have seen many different collections come and go. I know they often get a lot of stick for the plain styles that they do - but when they have collections like Beth Ditto and Scarlett & Jo it shows me that they are really trying. 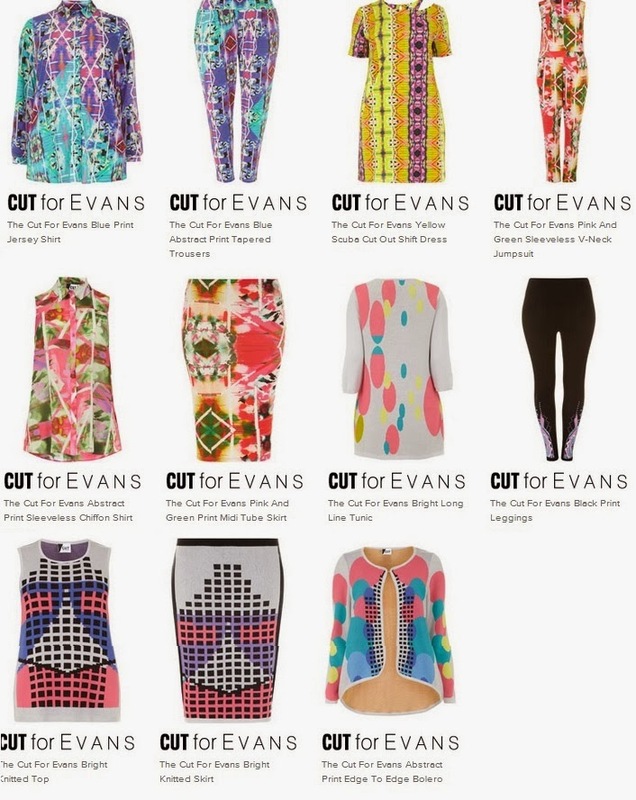 The Cut For Evans project is two collections, designed by student fashion designers - a print collection of jersey like material and a knitwear collection. I really need to get to the Marble Arch store to try on some items to see how they fit on me (the perils of being tall) but I like what i see so far and the reviews I have read online have been positive. Without a doubt you'll need to be confident to wear the collection - but finally Evans have bought out something new that pushes the boundaries. Have you checked out the collection? What did you think?